Also, note that we may occasionally link to existing documentation, for where there are no functionality differences between Portfolio for Jira 2.0 live plans and plans in the new experience. We'll explicitly call this out in the corresponding pages. The easiest way to determine whether or not you're using a classic plan is based on the positioning of the timeline. Classic plans have the timeline positioned at the bottom of your planning workspace. 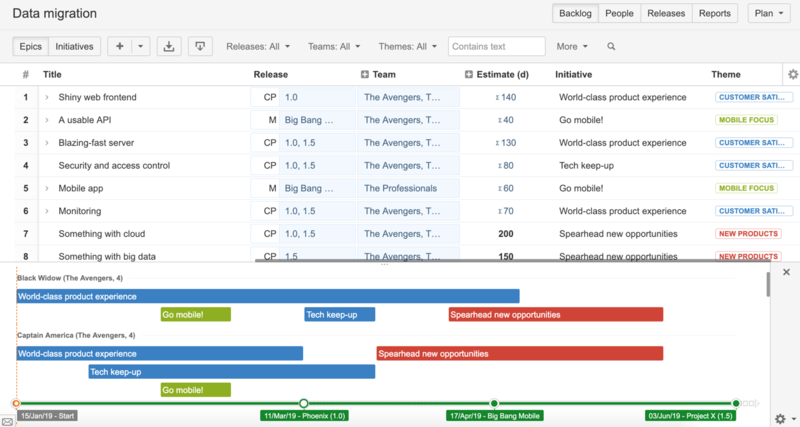 Portfolio for Jira 2.0 plans, which are also known as live plans, have the timeline positioned at the top. In the new planning experience, the timeline is now positioned at the right of the scope section. This provides a more intuitive experience, where you can view your roadmap directly beside the data that corresponds to it.